Closeouts. 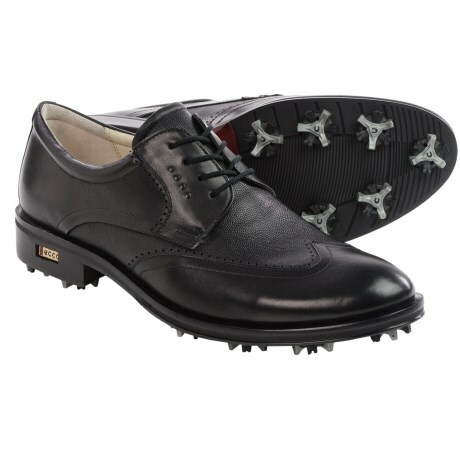 Crafted of the highest quality Hydromax®-treated full-grain leather, ECCO New World Class golf shoes offer a refined wingtip look and all-weather performance. A full leather lining and the Comfort Fibre System insole help feet stay cool, and Stinger III spikes offer a secure grip on the tee.